Jumpstart your diet and improve your nutrition with Almased®. With all-natural ingredients, Almased® is a powder made from high-quality fermented soy, skim milk yogurt powder and enzyme-rich honey. It contains all important nutrients the body needs, essential amino acids and enzymes for easy digestion. Almased® is non-GMO, gluten-free and contains no added sugars, preservatives, artificial, flavors or fillers. Almased® uses an ingenious formula and can be used by nearly anybody. Almased® offers safe and effective weight management solutions that boost energy and preserve muscle mass. Not just another fad, Almased® uses a simple formula to support both proper nutrition and weight management. Almased® blends only non-GMO fermented soy, yogurt and honey, with no artificial flavors, fillers, added sugars or preservatives. Almased® nourishes the body as it stimulates healthy, long-term weight management. 17.6 oz. powder. 10 servings per container. Directions: Mix 8 tablespoons (50g) of powder with 10-12 oz of cold liquid, such as bottled or filtered water, low-fat or skim milk. Customize your Almased drink by adding your favorite ingredients, for instance cinnamon, ground flaxseeds, vanilla or almond extract or unsweetened cocoa powder. Prepare in a blender for a smooth and creamy texture. Almased should be made fresh and consumed immediately after mixing. Use as a meal replacement up to 3 times daily or as a wellness drink in addition to your diet. Other Ingredients: Soy protein isolate, honey, skim milk yogurt powder, potassium chloride, magnesium carbonate, calcium citrate, vitamin C, niacin, color additive: riboflavin (Vitamin B2), vitamin E, zinc oxide, ferrous fumarate, manganese sulfate, calcium pantothenate, vitamin B2, vitamin B6, vitamin B1, vitamin A, folic acid, manganese sulfate, sodium selenite, potassium iodide, sodium selenite, biotin, vitamin D3, vitamin B12 This product contains only naturally occurring essential branch chain amino acids, digestive enzymes, and probiotics. WARNING: Store in a dry, cool place. If seal is broken, return for exchange or refund. If you are (or might be) allergic to one of the ingredients or would like to take Almased on a long-term basis, please consult your physician or health care professional. Almased is rated 4.8 out of 5 by 29. Rated 5 out of 5 by Pat from Awesome product! I needed to manage my health and weight. Almased was great! Rated 5 out of 5 by 2018NY from Good product. Works very well. Received product with 3 out of 6 cannisters seal broken and powder spilled out. Rated 4 out of 5 by Tango from Works Good Keeps me full all morning, tastes good! 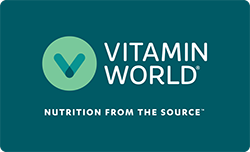 Rated 5 out of 5 by Sunshine from Great Product Vitamin World has always been the best value for your money. Quick delivery and great service.